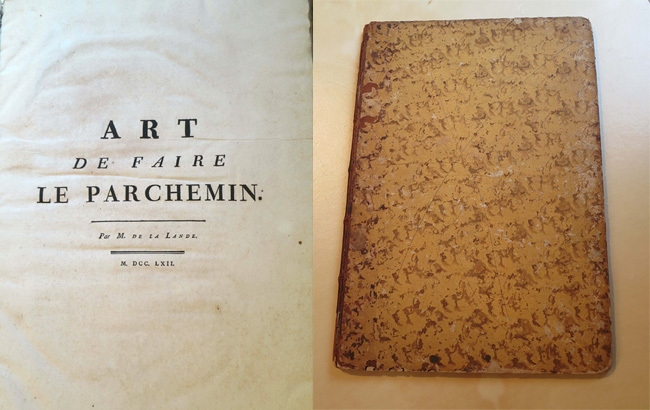 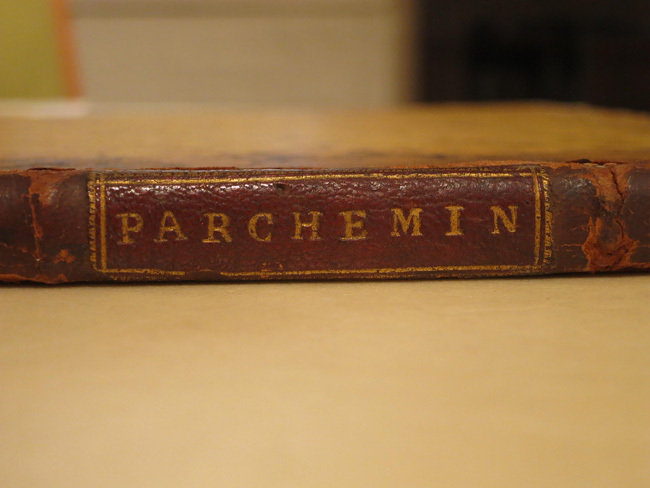 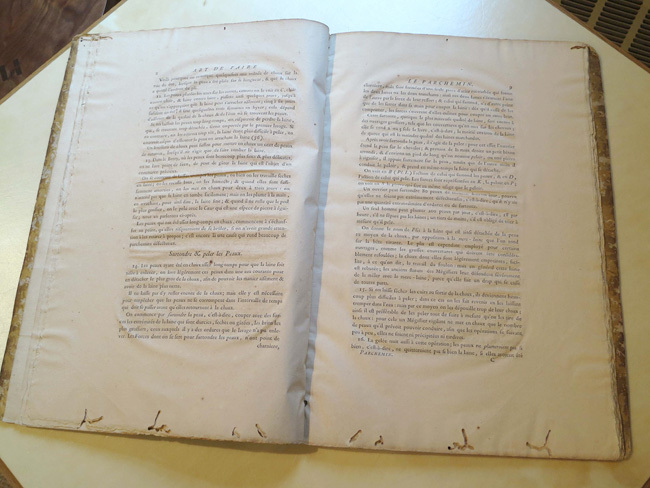 This week we’d like to share a rare book with you from the library of Atelier Viollet:Â The Art of Making Parchment & Vellum, byÂ JÃ©rÃ´me Lalande. 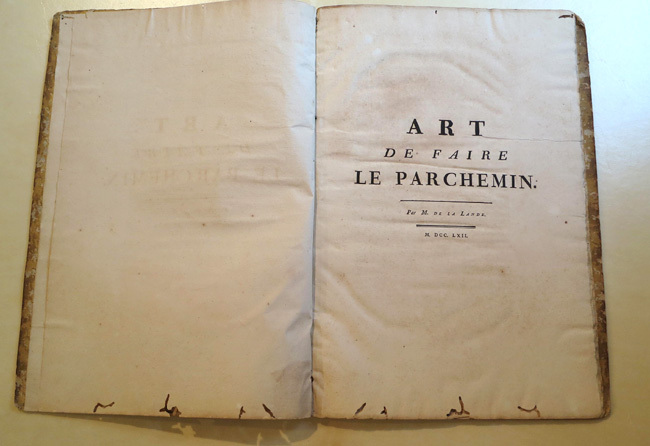 This is a first edition from a series of publications centered around French arts and trades, sponsored by theÂ Royal Academy of Sciences. 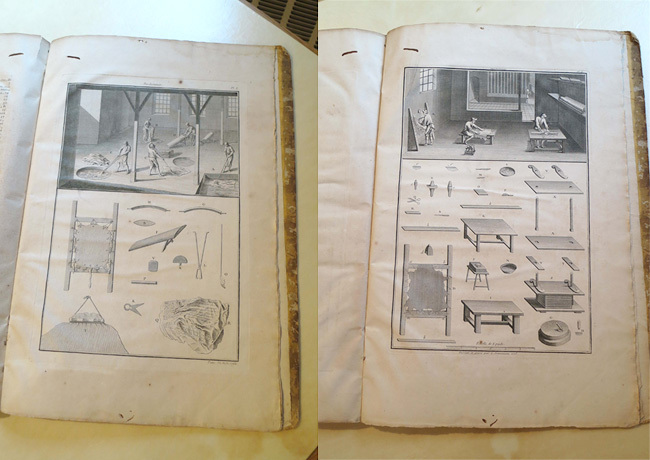 The large-format guidebook is fully illustrated to show men engaged in various tasks of parchment making, technical sketches of necessary equipment, and written descriptions of each step of the process.Â Aside from being a resource, this is a great treasure to have in our collection.